Are you ready to hand off the hassle of getting your home or business looking its best? At Grant Roofing & Pressure Washing, our team provides professional roofing, moss removal, gutter, and power washing services - all backed by a 100% satisfaction guarantee. 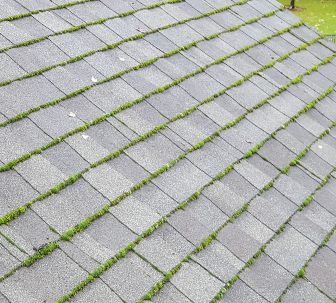 We specialize in all things roofing, including routine maintenance, emergency leak repairs, as well as moss removal and prevention services. 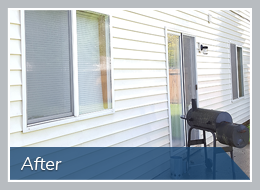 Additionally, we offer gutter cleaning, maintenance, and power washing services that are guaranteed to improve both your home's curb appeal and its energy efficiency. For over 25 years, our team has served hundreds of clients with professionalism and integrity. Our team strives to treat your home or business as our own and provide quality service that makes your property sparkle. For decades, Grant Roofing & Pressure Washing has been a full-service exterior maintenance company offering reliable, efficient and high-quality exterior cleaning services to residential and commercial customers in Clark County, Washington. We use only the highest quality products and modern, professional equipment to ensure you receive the most efficient and long lasting cleaning results. Don't Take Your Property For Granted - Give Us a Call! Our local team members will visit your property, assess your needs and provide you with a FREE, no-obligation estimate for getting your home or business in tip-top shape using the safest and most effective products across the board. Contact us today for a free on-site estimate from trusted professionals! When it comes to your property's exterior - experience is everything. Browse our gallery of past work to see what we've done for other properties in the area.